The iPad just got a lot bigger. During an event in San Francisco Wednesday, Apple announced the long-awaited iPad Pro. A whole new product category of sorts, CEO Tim Cook described the tablet as “the biggest news in iPad since the iPad” – and big it is. Measuring in at 12.9 inches, the device has a 2,732 x 2,048 resolution screen and weighs 1.57 pounds, making it only slightly heavier than the 1-pound iPad Air 2. To give you a feel for its size, the width of the tablet (8.7 inches) is almost as much as the length of the iPad Air 2 (9.4 inches). The iPad Pro comes packing a new A9X processor. It’s the third generation of Apple’s 64-bit chip, and Apple says its 1.8 times faster than the A8X chip currently used in the iPad Air 2. Geared toward professionals, the iPad Pro also allows for split-screen view and multi-tasking, which lets people use multiple apps at once. With a device so large, you might consider using it as a laptop replacement, something that Apple is making a lot easier with a few new Apple-branded accessories. At first glance, you might be forgiven in thinking that Apple’s Smart keyboard is just its standard Smart Cover. 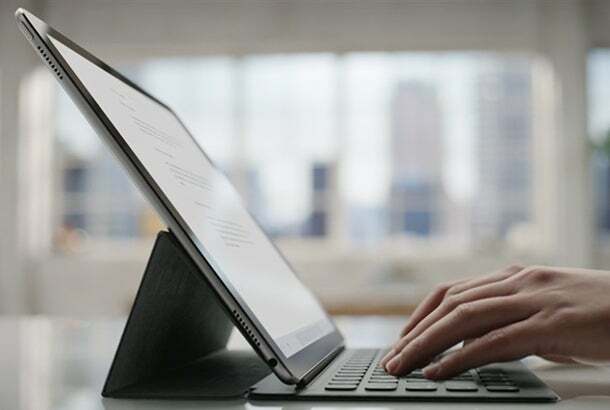 The new keyboard attaches to the tablet similar to previous covers, but has a built-in soft keyboard. When attached, it looks a ton like Microsoft’s Surface tablet, and gives you the ability to type on the device similar to how you might with a laptop. 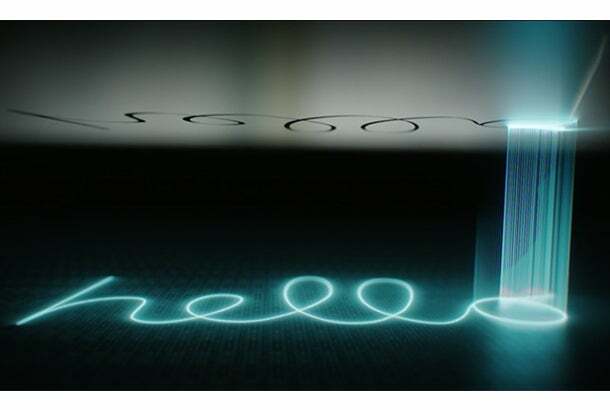 Apple finally has a stylus. 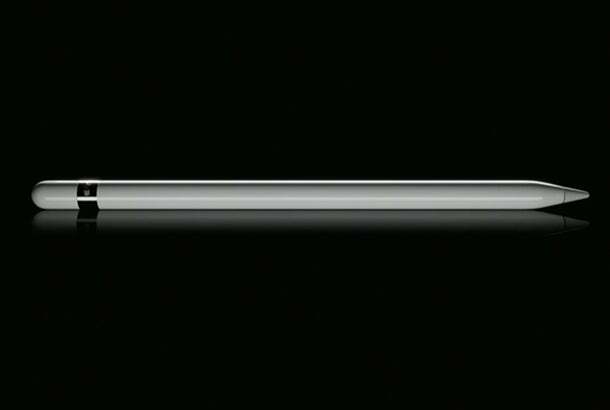 Aptly named Apple Pencil, the stylus has a low latency rate, making it feel like you’re actually drawing on the tablet. Some other stylus options out there have a bit of a delay, which can make it difficult to draw on the tablet if you’re an artist trying to do precise work. The stylus isn’t just for drawing, however. During the event, Apple invited a Microsoft exec on stage to show how the stylus could be used to work on documents, and showed how it could be used with apps created by Adobe. The iPad Pro starts at $799 for 32GB Wi-Fi version. The 128GB Wi-Fi version is $949 and the 128GB Wi-Fi + cellular version is priced at $1079. The iPad Pro and all of its accessories will be available in November. 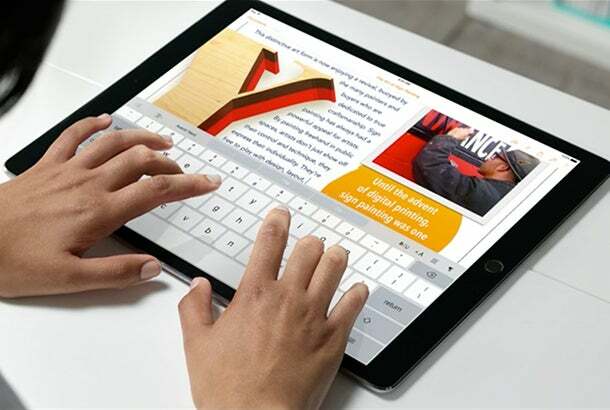 The Smart Keyboard and Pencil will be sold separately from the iPad Pro. The keyboard is priced at $169 while the Pencil will be priced at $99.